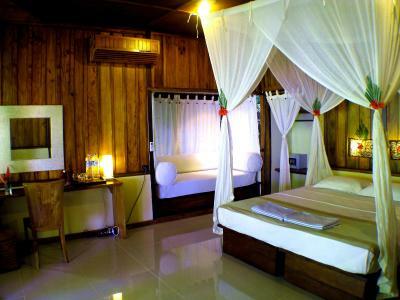 Lock in a great price for Bunaken Cha Cha Nature Resort – rated 9 by recent guests! Staff was impeccable on the service at the hotel. Dive staff was definitely a top 3 on service having dove at over 100 different worldwide locations. Everyone was super friendly and eager to help. The owner and his wife were enjoyable and really made this place a slice of paradise. The view of our room is excellent. 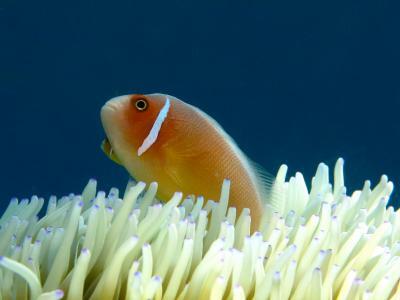 Staffs are nice and friendly, including the scuba and snorkeling guider. The food is really tasty. Overall, my experience in chacha is excellent. If I will go to Manado again, I will still chose chacha. The food was fantastic - every meal was an event. The staff were just lovely and couldn't do enough to keep us comfortable. 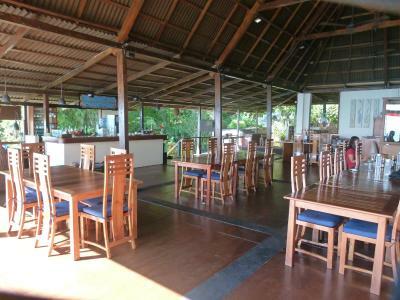 The small size of the resort gave a very homely and intimate feel. 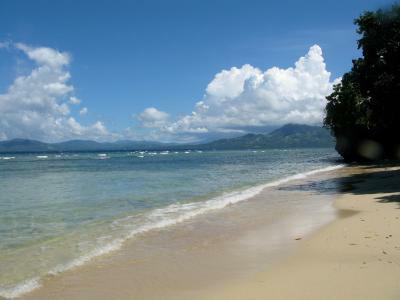 I would definitely recommend highly to anyone who is looking for a quiet, tropical Indonesian holiday. The resort is very quite and no more than 10 rooms ,with very good place in Bunaken island and very near to seaside ，a little sandy beach in the front of lobby ,you can see sunrise in morning in beach , in restaurant,and in your room, everywhere .the otherside is beautiful Siladon island, if you swim about 200 metres to east ,you can see so many fishs and soft corals .The food is sample but very delicate ,appetizer , soup,sweet is good.The boss is very nice and humorous ,with speak English slowly,you can talk easily.The resort have PADI diving ,go to snorke and dive is most interesting things ,the boat take you to the famous dive site ,you can see Nemo,lion fish, tattoo ,shark and colorful coral,if good luck ,you can see jake storm and sea wolf fish . 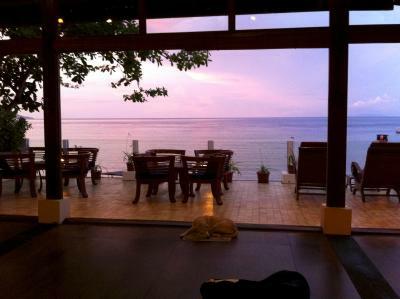 Superb place to relax and refresh! Access to snorkeling at the beach. Excellent, friendly, helpful owners and all staff exude the same warmth, really appreciated. Beautifully prepared and presented food. 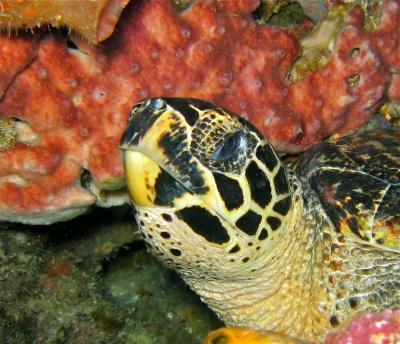 Snorkel trips just amazing to see turtles and healthy corals galore on Bunaken, a gem. When you are staying at Cha Cha, you're not only staying in a resort but you are really being part of the Cha Cha Family! Raf and his wife Reiko make you really feel like home during your stay! 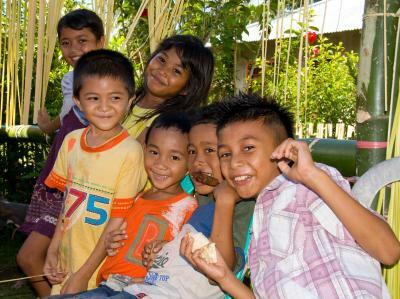 Food was clearly the BEST we had during our Indonesian holiday! 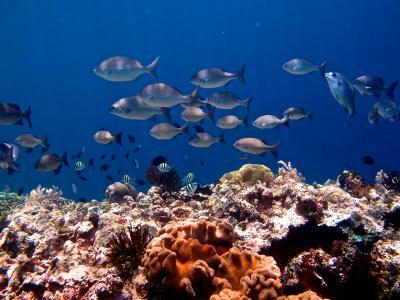 The National Park of Bunaken is just AWESOME! Tons of fishes and turtles once you put your head into the water! Like an aquarium! Concerning the rooms, we had one of these old wooden cottage which were large and nice! There are also some new ones we'd love to discover next time! 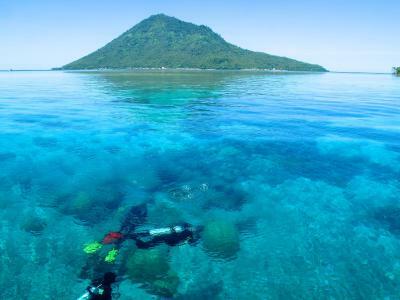 If you have to choose of place on Bunaken it can only be THIS ONE! Cha cha is a wonderful place. 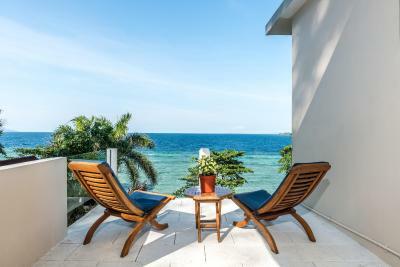 The location is amazing with a stunning sea view, a house reef great for snorkling and enough distance to the rest of the world to ensure you can do nothing but relax. The rooms are nice and clean and everything works. The food is tasty and plentiful. The owners and the staff make sure you have a great time. This was a very relaxing place to revitalise. 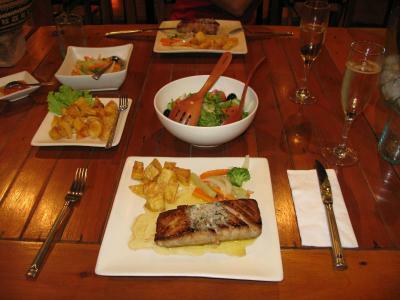 The staff and owners were more like family, the atmosphere was very relaxed and easy going. I was fortunate to get a very late booking and everything including transfers was taken care of seamlessly. The accommodation was perfect, quiet and secluded. The food was great and portion size plentiful. The dining was at a single table for all guests which is a nice way to wind down with easy socialising, still very intimate. Nothing was too much trouble. 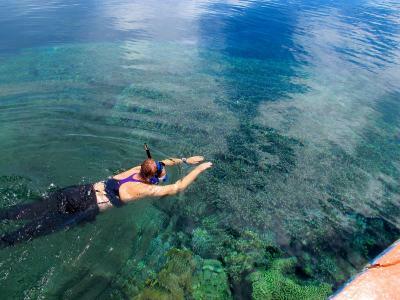 I recommend doing the snorkelling tour even though the reef at your doorstep is amazing in itself, you won't be disappointed! This is a very relaxed intimate environment and I would suggest booking as long as possible because you won't want to leave in a hurry. Everything positive you've read about Raf, Reiki and the staff of this resort is absolutely true, but the reviews don't truly capture the amazing service, incredible food and easy, casual intimacy of the place. 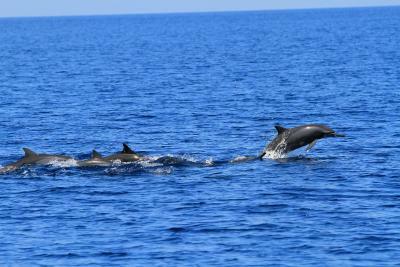 And the exceptional snorkeling that blew me away every time I went out. Cha Cha is an exceptional resort run and staffed by exceptional people in one of the most unique underwater ecosystems in the world. 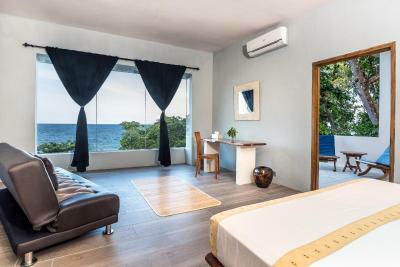 Bunaken Cha Cha Nature Resort This rating is a reflection of how the property compares to the industry standard when it comes to price, facilities and services available. It's based on a self-evaluation by the property. Use this rating to help choose your stay! 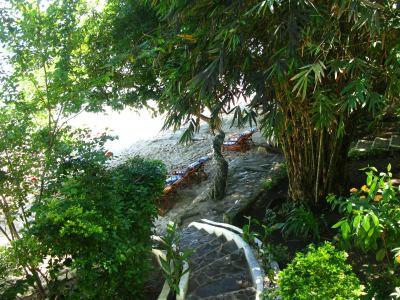 Located on the peaceful Bunaken Island with a private beach area, Cha Cha Nature Resort offers cottages and villas with sweeping views of the sea and mountains. 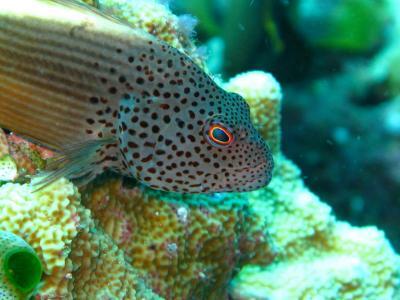 The resort also has a Padi affiliated diving and snorkeling center. 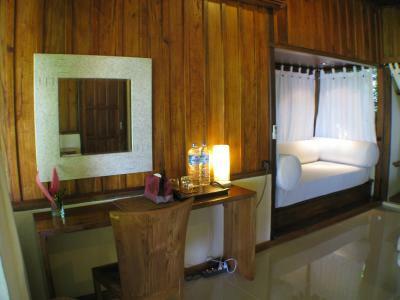 Cottages come with wooden wall panels and have plenty of natural light. Fitted with air conditioning, each unit also has a seating area and private bathroom with shower facilities and toiletries. 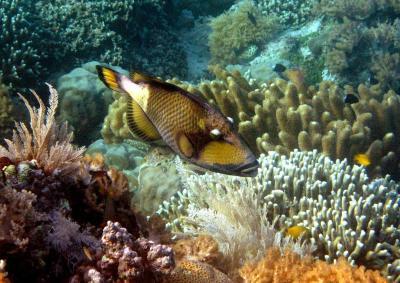 Guests can go on a snorkeling and diving trip, or simply relax with a body massage. Staff at the tour desk can assist with shuttle service and sightseeing arrangements. 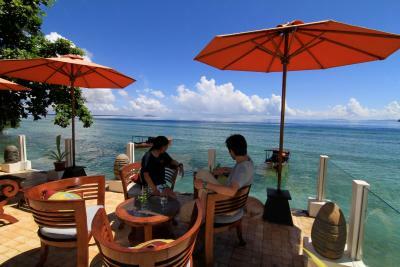 Serving local, Asian and Western dishes, the restaurant overlooks a beautiful private beach area. Room service is available upon request. 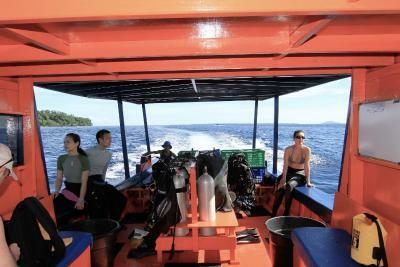 Bunaken Cha Cha Nature Resort is a 50-minute boat ride from Manado Town. 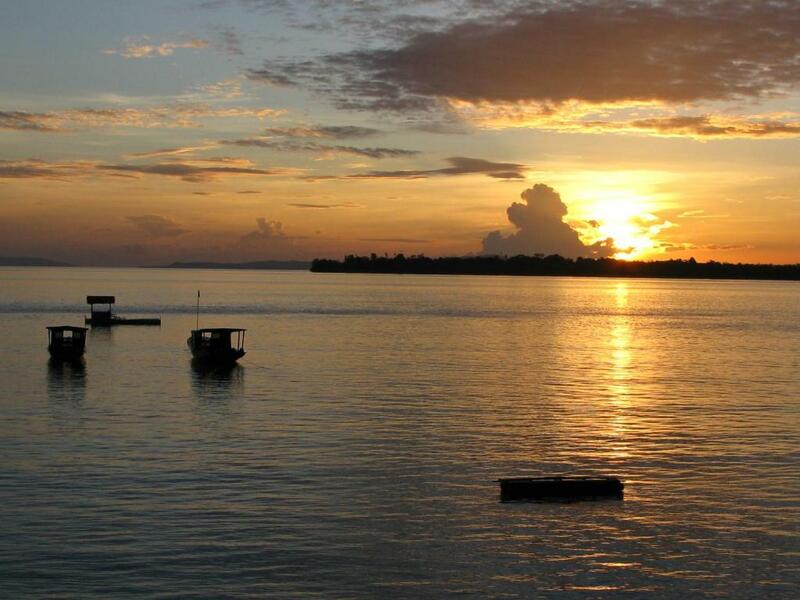 This property is also rated for the best value in Bunaken! Guests are getting more for their money when compared to other properties in this city. 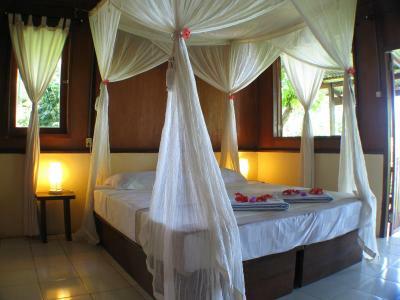 When would you like to stay at Bunaken Cha Cha Nature Resort? 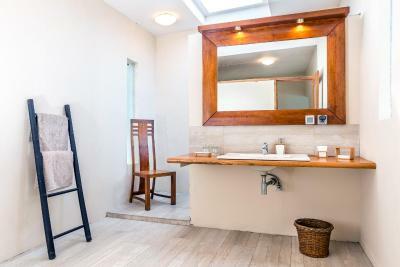 Fitted with air-conditioning, this cottage features shower facilities and a private balcony with views of the sea and mountains. 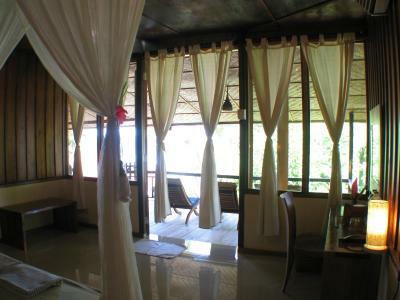 Spacious air-conditioned cottage features shower facilities and a private balcony with view of the sea and mountains. 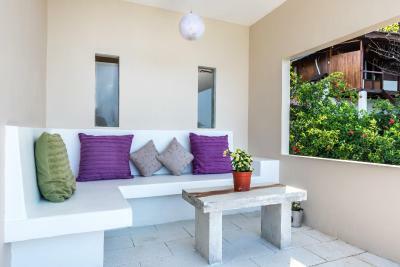 Fitted with air-conditioning, this villa features shower facilities and a private balcony with views of the sea and mountains. 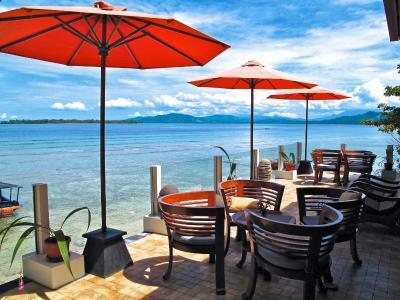 In essence Bunaken Cha Cha is a place to come to relax, to unwind from the hustle and bustle of our "normal" lives, to get away from the rat race and embrace or be embraced by nature. 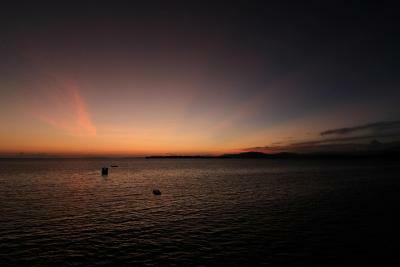 With the reefs on our doorstep for easy snorkelling, our boat for easy scuba diving or just a stroll in the shallow waters at low tide, the fact of a slow rhythm, relaxing atmosphere, spectacular scenery, high quality food and good selection of wines all conducive to be able to forget about all our troubles even if only for a few days. 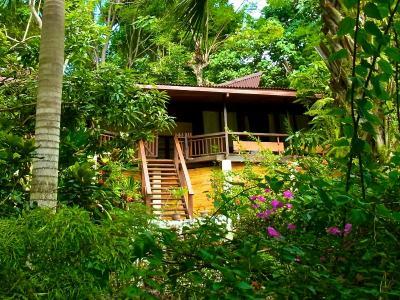 House Rules Bunaken Cha Cha Nature Resort takes special requests – add in the next step! Bunaken Cha Cha Nature Resort accepts these cards and reserves the right to temporarily hold an amount prior to arrival. Please note that the hotel will contact guest directly for deposit payment. 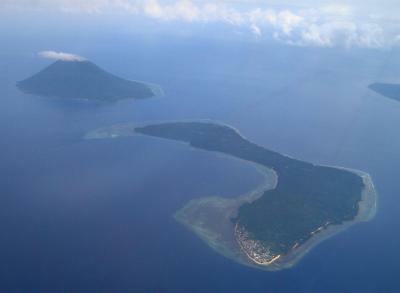 Please inform Bunaken Cha Cha Nature Resort of your expected arrival time in advance. You can use the Special Requests box when booking, or contact the property directly using the contact details in your confirmation. No a.c. in the evenings past 10pm. Food was ok and skimpy sometimes. Beer was overpriced. Perhaps it is beyond their control given the small size of the island, but the owners turn off the air conditioning at 10:30 at night. The bar closes at nine at night, which seems a little early for people on vacation. While the owners made adjustments for our group to stay at the bar beyond 9 p.m., I did not feel comfortable staying beyond 9 because I knew that I was keeping the staff up beyond normal hours. Raphael and his spouse joined us for every meal. He, his wife, and his entire staff showed genuine concern for their guests. 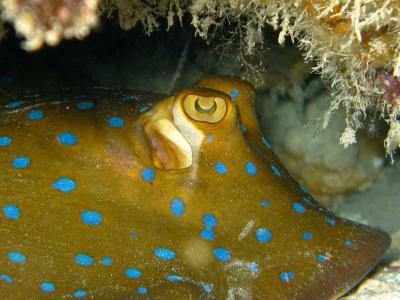 Some examples of the excellent service, include, but are not limited to, hot tea or coffee after every dive. The dive master insisted on helping divers put on their gear and on letting the diver take off every piece of scuba gear so that he or his assistant could lift it onto the boat. Every day there were two bottles of fresh water in the room. I drank at least 1 and 1/2 bottles, knowing that dehydration increases the risks of decompression sickness. The food was home cooked and three meals plus tea with biscuits were included in the hotel rate. The beach was absolutely beautiful. Speaking of the beach, on one night Raphael and his staff prepared a beach BBQ with table and seating on the beach, providing me with an unforgettable memory. This is a boutique hotel more like a bed and breakfast than a luxury resort. 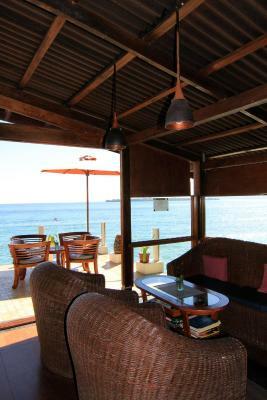 The bar, patio and dining area have a spectacular view of the ocean with a stiff breeze to keep guests comfortable. There only six rooms, making this hotel very much a "getaway". The way to walk to Bunaken other dive site is too far and inconvenient more than one hour ,The best way to snorke and dive is by resort boat, a little expensive than MANADO diving center ,but you can save much time, the price of 5 times diving with AOW and 5 times snorkeling is about 300 US dollars,we have ourselves mask ,wet clothes,and fins,if you don't have,you can rent from resort. Nothing just thinking about when we can go back there! My scuba diving experience was excellent, but my partner had to travel to do a neighbouring resort to do her open water course. This didn't seem as well regulated, and she consequently failed to finish. The old room are now really too old fashion close to decadent ( the new villas are much much better) our old room was absolutely not isolated we could hear our neighbor snoring / toilet noises and the toilet smell after 18 was really strong. All above comments considering The island perspective could be understandable but from the price not so much. There is not much to dislike about this place other than having to leave! While I was there the wifi was down but only in one spot, in saying that it didn't bother me as there was other options and it was fixed the next day. What a vacation. Divers paradise. We stayed in Cha Cha probably longer than most visitors - whole 14 nights in same location and we loved every moment of it. 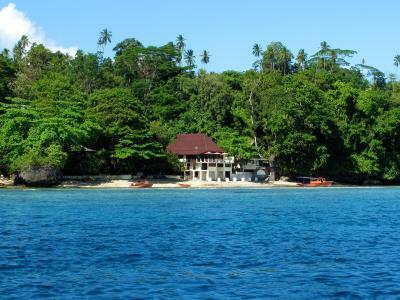 This small resort met and exceeded our all expectations. Don't get me wrong. This is nothing like 5 star location. Not like those fancy and every corner polished resorts in Maldives. 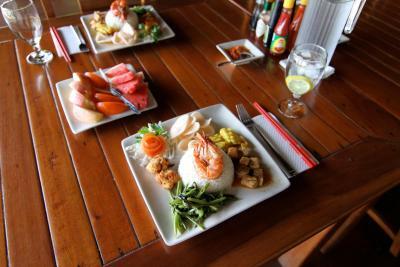 Cha Cha is something between those few high end and many rustic resorts of Bunaken. You have probably read from multiple reviews already lot about Raf & Reiko. Irish/Italian and Japanese owners of resort. Such a lovely couple. Those breakfast, lunch and dinner moments were highlights of a day. There were so many stories and we really laughed - a lot. Food was excellent and varied enough. Every meal is at certain time of day. Each day same routines. Everybody eats together in 1 or 2 tables. I'm pretty sure that if you prefer some privacy that's not a problem either, but I suggest to join others - excellent memories from those moments. 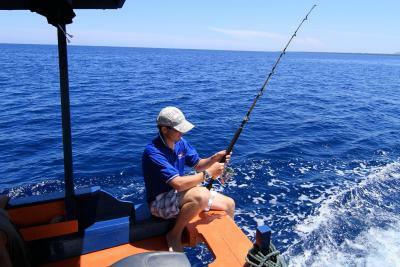 As a small resort, relationship between quests and staff will be much more personal than on bigger resorts. For that reason, I'm pretty sure we will visit Cha Cha within next few years again. We miss you all: Raf, Reiko, Agnes and others :) Special thanks to Agnes about your warm friendliness and those unforgettable moments with guitar after dinner. We really loved them and will carry those memories with us for ever. Resort itself have some parts that might need some renovation, but overall everything is clean and everything works. We stayed in one of those newer concrete rooms. Nice views, spacious, clean, Air conditioning works, wifi is actually surprising good (there are days that its not good enough to upload dive pictures to cloud, but would you really need to do that). Air condition is shut down (because of obvious reasons) late every evening and started again early at morning. Resort is located in north-east corner of Bunaken. Quite far away from other resorts. 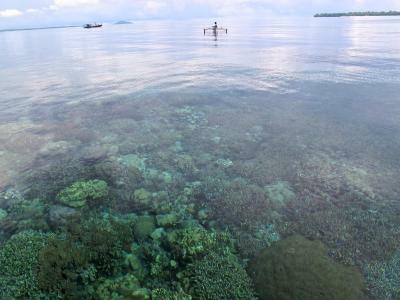 Marvelous location for snorkling!! The owners, Raf and Reiko, make you feel right at home. Along with the amazing staff, they make sure you're having a wonderfull stay. Resort is quiet and peacefull. Lots of relaxing lounge possibilties either on the beach, private balcony or restaurantarea. The food is top level each day. Family diner is a very nice way to talk with the other guests and hear the hilarious stories from the owners twenty years of Island life. Cha-Cha is a traditional, “old-fashioned” resort with great charm, wonderful garden and a friendly and very personal touch. We sincerely appreciated the discussions with the owners and the efforts of the very service minded local personnel. Highly recommended!